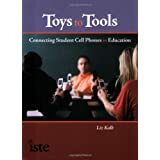 From Toy to Tool: Cell Phones in Learning: Location Moblogging...Resources? I've exhausted my search.. Location Moblogging...Resources? I've exhausted my search..
1) Have a specific cell phone or cell phone provider. Such as Nokia's Sports Tracker needs you to have a Nokia Smartphone. Most basic cell phones will not work. 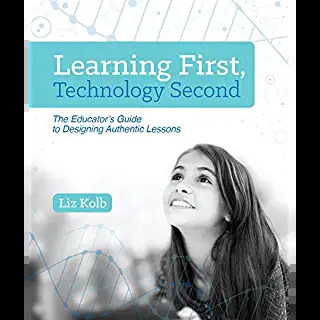 Locoblog is a great example of a blog that documents people and their locations (along with images), but you need Bluetooth and a Smartphone in order to use the service (I know many students will not have a fancy smartphone or Bluetooth). 2) They ask you to pay money to use the resource (as we know, this is not a great option for schools), such as Runner's world Run Tracker. While both Nokia's and Runner's world application are really cool, you can track your run or jog or walk route on your cell phone as it happens, then log in to your online account to check out statistics (great for health education and geography classes). You cannot post immediate audio, video, or images (except I do believe you can include images with Nokia, but I am not sure how) from those locations to your files. Additionally they both couple with Google applications (such as Google Maps). 3) You have to download an application to your phone to use the web2.0 service (Sports Tracker and Run Tracker both have you do this). 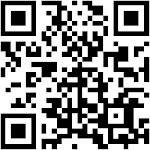 Google Mobile Maps and Locoblog are other moblogging applications where you have to download the application in order to use it on your cell phone and post to the Internet. 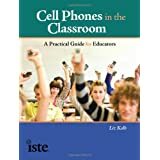 While I am not against downloading to my phone, I really think that if we want to get educators using cell phones for learning and asking all of their students to use their cell phones for assignments, we need to cut down on the "extra" steps. 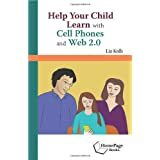 Downloading an application often means that it will not work universally on all cell phones, which may cause problems if you want all of your students to be able to participate with their own cell phones and/or a landline. 4) You have to add the pictures to the map while you are online. Flickr is great for moblogging images, I use it often. And Flickr does have a nice map feature. But you have to physically add the images to the map in your online Flickr account, you cannot do it from your cell phone. 5) Allows you to document your locations with images, sound, and/or video (and not have to add them to a map later online). Anyone know of an application like this?